We know that unforeseen events can cause a large amount of stress on you as a property owner. Luckily, insurances are in place to help alleviate the stresses caused by these situations. In this information pack, we will look specifically at Sectional Title property insurances. Generally speaking, there are 2 types of insurances a homeowner in a Sectional Title complex will have. The first is the insurance you, as an owner, have in respect of your particular flat. The second is the insurance the Body Corporate has in respect of the building. 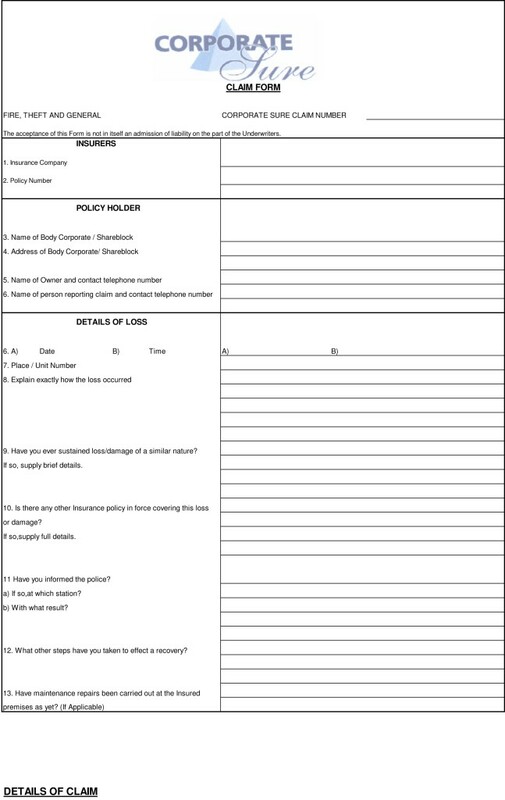 The individual units insurance is usually based on the requirements of the institution which has an endorsement over the property, usually the bondholder (if applicable) and is taken out either through the bond issuer or an independent insurance company or broker. The Body Corporate’s insurance is based on the replacement value of the entire building less the cost of the land. In other words, the total it would cost to rebuild the complex should it be destroyed. Certain other items are covered in this type of insurance as well. Understanding these types of insurances and their application is fundamental to being a property owner and will allow educated decisions and the correct action being taken in a given set of circumstances. When the Body Corporates insurance is appropriate in a set of circumstances, the Owner will always be responsible for the excess. There are no exceptions to this rule. In order to determine which of the two types of insurances are applicable in a set of circumstances, one need first assess the situation. If the cause of the problem is completely inside your unit, your individual property insurance will cover the resultant damage. If, however, the cause of the problem is related to an external source (which usually includes your geyser), the Body Corporate’s insurance may cover the damage. When any event occurs which is subject to an insurance claim, the first action one would need to take is to limit the damage as far as possible. For example, if a pipe bursts, the Owner must take all necessary and appropriate steps to stop the flow of water. Thereafter, the resultant damage can be assessed. Insurers will only appoint an assessor when they feel it is necessary and therefore none of the damaged items should be discarded before this determination has been made. In order to ascertain the appropriate insurance, we illustrate through a simple diagram below. In this diagram, we depict a 1 bedroom flat with a main en-suite and a guest bathroom. If the problem were to occur on an external wall ( = ) the issue would usually be covered by the Body Corporates insurance. If the problem were to occur anywhere within the section but not on the double lines ( = ), this would not be covered by the Body Corporate’s insurance. If the problem were to occur within or on the single lines ( - ), the problem would also not be covered by the Body Corporates insurance. To expand matters further, should the problem be coming from the slab above or below the Section or the roof above the Section, this is also for the Body Corporates insurance (provided it is not due to any neglect of maintenance). If a plumbing problem is being experienced which falls under the Body Corporate’s insurance, the resultant damage should be covered by the Body Corporates insurance. This, however, is a very tricky area, as often the cause of the problem defines what is or isn’t covered. Each claim needs to be assessed individually to determine this. Your first steps would be to get the water flow stopped, the problem isolated and repaired and the floor area dried. Once again, we need to use the insurance recommended contractors to attend to these problems and all reports and invoices need to be handed in to our offices to submit with the claim. All other resultant damage will be assessed once you have completed the above steps. If there has been a break-in or attempted break-in, the matter needs to be reported to the police and a copy of the claim number needs to be handed in to our offices to submit with the claim form. Again, all reports and invoices need to be handed to us as well. Once all information pertaining to the claim has been completed, this will be forwarded to the insurance brokers who will then either appoint an assessor, or pay the claim on the strength of the supporting documentation. Should the problem fall within the definition of the Body Corporate’s insurance but the claim not be paid for any reason, this does not automatically confer liability upon the Body Corporate. From 2011 and after the implementation of the Consumer Protection Act (“The Act” or “CPA”), South African consumers will be among the best protected consumers in the world. South Africa, a company with a diverse population and history of persecution has been the breeding ground for many empires preying on not only the uninformed but also the misfortunate consumers. The CPA will have far-reaching implications, much further than most business operators currently anticipate by promoting and advancing the Social and Economic welfare of consumers in South Africa with regard to both products and services, and in essence, prohibit certain unfair marketing and business practices in order to protect against exploitation in respect of transactions concluded and the promotion of goods within the Republic of South Africa. The Act places great emphasis on honest and fair dealings as well as responsible conduct of service providers within the Republic of South Africa. “Producers, distributors or suppliers, will be liable for any damages in the form of death, injury, loss, or damage to property and economic loss, to the consumer or third party. This Act decriminalises certain conduct and subjects it to administrative sanctions, while also enables consumers to demand refund if the goods are of inferior quality”. “Consumers may return the goods to the supplier, without penalty and at the supplier’s risk and expense, if the goods fail to meet the required standard”, added Maseti. The Act extends further than just to transactions of a sales and service based nature but also includes the way in which these companies market themselves to the end-user consumers. The Act is a definite step in the direction of ensuring the protection and equality of all consumers. Some of the provisions, although seemingly Draconian in nature expose companies which otherwise would have been indemnified against risks inherent to their trade including both their acts and omissions. It is extremely important for the interpretation of the Act to understand the definition clauses of both the Supplier as well as the Consumer. One of the most common questions we have been asked lately in practice is how to deal with troublesome Managing Agents and how to go about the process of changing Managing Agents. As with many service providers, notice periods and the terms of cancellation depend entirely on the contract you have with your Managing Agent. Many contacts for management preceed the appointment of the current board of Trustees as well as Owners in the scheme. Given the circumstances, many people are extremely hesitant to change service providers despite sub-standard service they have been receiving. Although changing Managing Agents may appear, on the face of it, to be an act which incurs expenses beyond the scope of the Trustees authority, one should bear in mind that these restrictions are to be put in place for UNBUDGETED items only and therefore may not be effected by the restrictions. Changes in regime will often be met with hostility and for this reason, one should handle the process of changing Managing Agents extremely carefully. An exercise which we encourage in practice would be to list the non-negotiable aspects of the services one should reasonably expect from a Managing Agent and find a suitable candidate, capable of eliminating the current problems. The reputation of a building tends to be subject to an accumulation of experiences of residents and owners experiences when dealing with matters relating to the Sectional Scheme and having a competent Managing Agent certainly goes a long way to extending the profitability and cultivating a good reputation for any long or short term relationship of a Sectional Scheme. When is the right time to change Managing Agents? 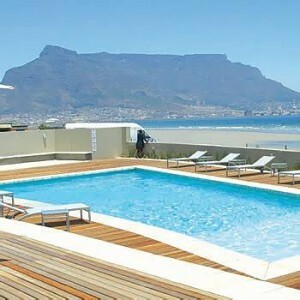 One of the most common problems in Sectional Title developments today is that Owners are saddled with Managing Agents who are either unwilling or unable to service the needs of the Body Corporate. In practice, this creates much uncertainty in the building and can give a building a reputation for being mismanaged or have inadequate finances. Trustees and Owners are often hesitant to change Managing Agents for various reasons. This can cause a variety of problems to the other Owners within the complex. Should Owners be experiencing problems with their current Managing Agents, the Managing Agents should be informed of the problems experienced and be given the opportunity to improve in the specified areas, if they are unable or unwilling, it is in the interests of all other Owners that the management contract be reassigned to another firm. It is important that prospective Managing Agents be informed of the problems that were previously experienced to ensure that the new firm can improve in these areas. Always ensure new prospective Managing Agents are in possession of a valid Fidelity Fund Certificate and registered with the Estate Agency Affairs Board and are full member’s professional organizations such as NAMA (National Association of Managing Agents). Always remember that Managing Agents are responsible for a large extent of the finances, maintenance and reputation of the building and having the right Managing Agent will go a long way to ensuring your long term investments don’t fall into a black-hole of depreciation. NAMA, the National Association of Managing Agents, is an important functionary body in sectional title management today. It is not compulsory for Managing Agents to be members of NAMA, but one should always ensure that their managing agents are registered as FULL STATUS members with NAMA. All members of NAMA are bound by the code of conduct which NAMA has introduced. This code of conduct needs to be strictly adhered to in addition to the provisions imposed in terms of the Estate Agency Affairs Act. Members are constantly kept up to date with the latest developments in the industry and the organization boasts a range of different professionals on their committee at both national and provincial level. The importance of being members of NAMA for Managing Agents, and an affiliate member if not a Managing Agent should not be underestimated. All members are checked for compliance with procedural and statutory requirements before allowing membership. With so much uncertainty in the industry, we recommend all contractors for any Sectional Title scheme are members of NAMA. No business shall be transacted at any general meeting (annual and special) unless a quorum of persons or by proxy is present at the time the meeting proceeds to business. Bodies corporate with ten units or less: At least 50% of the votes in number and value in person or by proxy. Bodies corporate with less than 50 units but more than 10 units: At least 35% of the votes in number and value in person or by proxy. Bodies corporate with more than 50 units: At least 20% of the votes in number and value in person or by proxy. Section 37 (1) (h) of the Sectional Titles' Act mentions that all insurance monies received must be used for the reason of the claim in respect of damages. In other words, the money paid out cannot be used for anything else and must be used to reinstate the damaged property. If, for example, the gate motor is stolen and the claim is paid out, the trustees must utilise those funds to replace the motor. Some complexes have such inadequate levies that they make use of these funds for the daily running of a complex – which is not legal. Likewise, if a claims payment is in the hands of the owner, the monies may possibly not be used for the purpose for which it was intended and the damage remains, deteriorating further – to the financial detriment of all the owners as the building falls into a state of disrepair. It is for this reason that it is preferable for claims payments to be made directly into the bank account of the Body Corporate or the Managing Agents trust account to ensure the funds are utilised for the purpose for which they were intended.